Farm and Food Care Ontario reports a new euthanasia device has captured the attention of both pork producers and processors. The Zephyr E, a non-penetrating captive bolt device developed at the University of Guelph for euthanizing non-viable piglets up to 20 pounds and manufactured by Philipsburg, Pennsylvania based Bock Industries, became commercially available earlier this year. 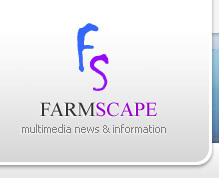 Farm and Food Care Ontario has been extensively involved in the testing and promotion of the new device. Kristen Kelvermann, Farm and Food Care's animal care coordinator, says the Zepher offers an alternative to traditional methods for euthanasia. We at Farm and Food Care are on the farm side and we've seen a lot of interest from farmers probably within the last couple of months, guys just looking for other options for euthanasia. We know that it's not the greatest thing to do on farm but is an important part of what farmers have to do every day and people are just looking for other options opposed to traditional methods, so things like blunt force trauma. The science has been proven, it's there, we know it's great but basically these captive bolt guns take blunt force trauma, the science behind it, and mechanize it so if you have other people working in your barn such as women or migrant workers or people who just aren't that comfortable performing euthanasia this makes it more easy for the employees to do and more comfortable for them to work with. We've seen a lot of interest in the processor side as well for processors looking for other options than have a regular old 22 gun sitting around. It's not really safe for a worker standpoint so things like the euthanasia gun offer both on farm and in the processing facilities. Kelvermann says when we euthanize an animal the general public wants to know that it's done quickly and without pain and this type of device offer farmers another option.